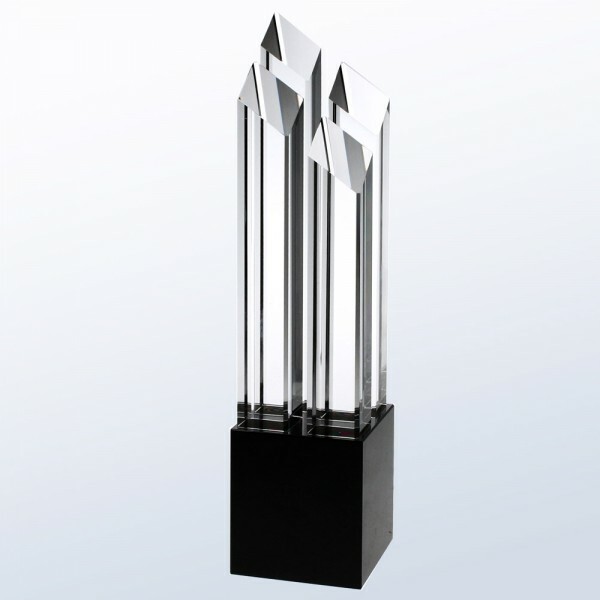 This collection of pieces is a very classy award to commemorate corporate accomplishment, with the contrasting black and clear optic crystal pieces and the tall diamond pillars. The pillars are situated on the base in a way that makes for maximum possible engraving area, on two different sides of the base! This pieces is appropriate for every level of corporate achievement, all the way from junior to executive level.